MASKerade: OLS6 - I've been framed! OLS6 - I've been framed! Here's my card for One-Layer Simplicity Challenge #6 - I've been framed, hosted by Karen. Some new goodies arrived at my house this week, specifically Photo Booth from Neat&Tangled and Picture Perfect from Winnie & Walter. They combined to make this really fun card. There's still time to play along with us - the challenge closes on June 24. I hope we'll see you there! A brilliant idea Ardyth ... and this could go for the Over the Edge challenge too. Thanks for the heads up. Brilliant idea Ardyth, fabulous card! Phenomenal card! So fun and funky! I am with Nonnj. Phenomenal! Yup - seriously fun and cheery! Amazing Ardyth! Love your color choices - so very different and hip! I love how this looks--fantastic idea to overlap all those frames and have sentiments all over. This is so fun. Okay - this is 100% AMAZING! The placement of the frames and the words is perfect! Gotta ask - did you accomplish this on the first try? Everything fits together so well! 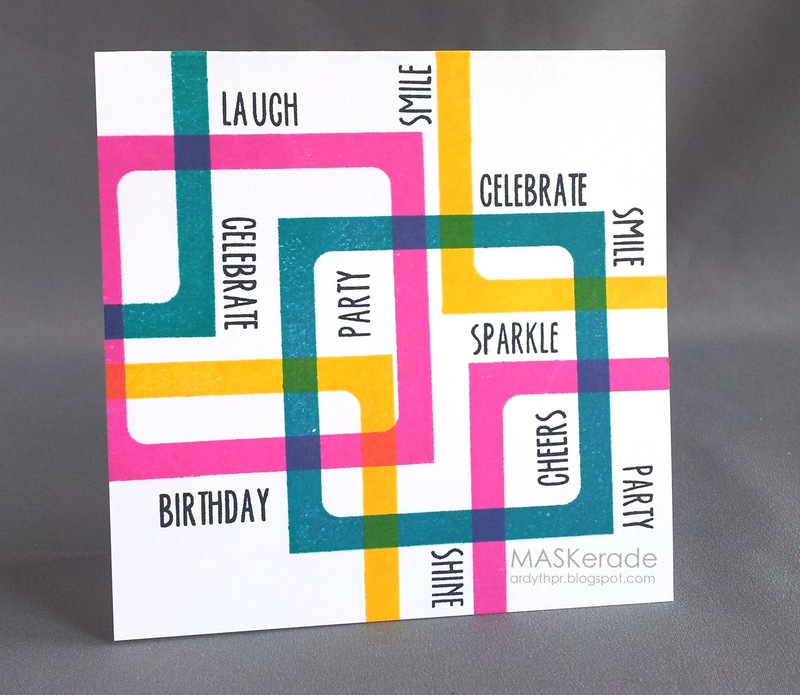 Fun, bright and happy....just makes for a great card as you always do. Absolutely adorable idea to use the frame like this! WOW :) Thanks for inking us up!